We are a small family operation lucky enough to live at the beach and be surrounded by a network of friends and family who love spending time with us on, in, and around the ocean. Our idea was to bring stronger, longer-lasting foam to the table of surfers, bodyboarders and all around water enthusiasts and to collaborate and learn how to make better boards for watersports. It's been exciting watching our boards being customized with fin boxes and handles, or by simply sharpening the rails with some sand paper. Our boards allow you the freedom to express yourself however you choose. We spend time in surf shops talking about design, size, function and the history of surfing in general. The progression of our designs has changed intentionally as we have obtained newer and newer foam. 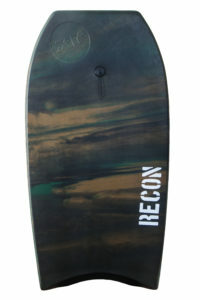 Our first, the 48" FUSION BOARD is purposefully accommodating for all skill levels with its wide deck and soft rails. ZEFR's newest addition, the SPADE hand plane was designed with precision cut channels and an HDPE slick bottom. Later this year we will be introducing our newest boards, the 54" removable twin fin ZEFR FUSION 54, and the colorful 42" bodyboard the ZEFR SLAB. Limited edition boards will be rolled out periodically in small, exclusive quantities. Our first limited edition is the 42" RECON in camouflage, only 200 produced in this coloration. All ZEFR Boards are embossed or branded with the ZEFR name or Z logo, we do this because we know the board will outlast the painted on name and logo. We recommend using wax for traction, our heat compression molding can make some of our boards as slick as a surfboard with epoxy resin, and as long-lasting! Customize with traction pads if you're not into wax but we use "cool water sticky bumps." Because our board is fused, we don't need stringers, allowing us to remove dead weight. With mold-fusion technology there is no chance of delamination, heat bubbles or water logging (Lifetime Warranty), even after years of use! Invest your money wisely knowing this board will live on to become a trusted old friend. 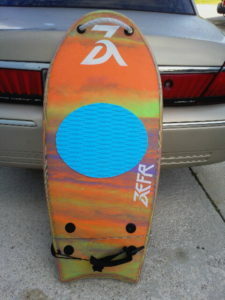 and let a ZEFR Board carry you to places no other board can...time and time again. It is the intention of ZEFR Boards to provide surfers, body boarders and water enthusiasts more-sustainable, eco-friendly products with their own lasting lifespan intended to elevate the human experience mentally, physically and spiritually. We source only high quality materials and use cutting edge foam techniques. This gives us the confidence to offer our Lifetime Fusion Warranty protecting your ZEFR products against heat bubbles, water logging and delamination.